St Ives is an area of Cornwall that I love to cover for wedding photography. The popular seaside town lies north of Penzance and west of Camborne on the coast of the Celtic Sea and is a place of outstanding natural beauty. In times gone by it was commercially dependent on fishing, but today St Ives is more famously known as a popular tourist destination, and has been a winner of a showcase of national awards. The town has been attracting artists for decades that come to capture the area’s undeniable beauty. It started with J M W Turner and the marine artist Henry Moore who first came to St Ives in the mid-1800s and since then the town has become a magnet for some of the world’s greatest painters, sculptors and photographers. St Ives has many fantastic beaches: Porthmeor, Porthgwidden, Harbour beach and Porthminster and is notably one of Cornwall’s favourite destinations for soaking up the sun. The beaches are clean too; with the completion of the £100 million ‘Clean Sweep’ scheme for Mount’s Bay, St Ives and Hayle, the West Cornwall area can boast probably the cleanest bathing waters in Western Europe. There are award-winning beaches at Porthminster and Porthmeor, St Ives and at Sennen, near to Land’s End where European Blue Flag and Tidy Britain awards have been given for several years. Today the West Cornwall beaches measure up to the European Commission guidelines through South West Water’s ambitious programme. Located 3½ miles (6km) to the West of St Ives, the aptly named Seal Island is home to more than 40 seals who inquisitively like to say ‘hello’ to the visitors. The town has many attractions other than the golden sandy beaches; take a trip to the historic harbour (which is still a working port today), explore the maze of narrow cobbled streets and fisherman’s cottages behind the 14th century Sloop Inn on the Wharf and Harbour beach, or spend some time delving into the life and times of bygone St Ives at the local museum. The large space is packed with memorabilia and artefacts that reflect St Ives’s long and varied history including fishing, boatbuilding, art and agriculture. The Barbara Hepworth Museum and Sculpture Garden, where sensual sculptures by one of the country’s leading 20th century artists are exhibited in tranquil gardens, are well worth a visit. Wander along pathways through trees and shrubs and discover some of her most celebrated works in bronze and limestone. Then there’s the Tate gallery; opened in 1993 in recognition of the international importance of art in Cornwall and St. Ives in particular, the impressive gallery holds hundreds of works produced by the St. Ives School from the late 1800’s through to the 21st century. It is also popular with couples looking for the perfect place to get married due to its seaside position; it provides a wonderful backdrop for wedding photography. 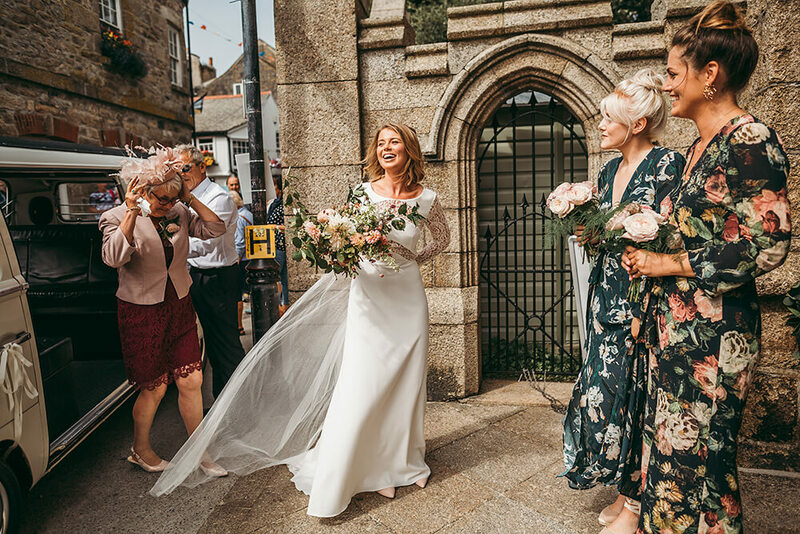 St Ives has some fantastic hotels that are also licenced for civil ceremonies in the South West, with one of the most popular and largest being Tregenna Castle. Whether you’re enjoying a family day at the beach, visiting one of St Ives many attractions or looking for a wedding venue in Cornwall, St Ives is certainly one to be considered. 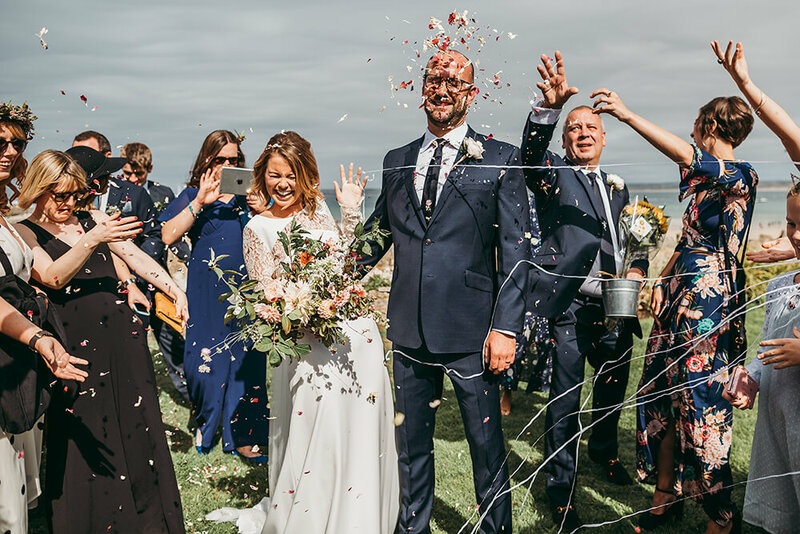 To view a recent wedding at The Brewhouse St Ives, please take a look!